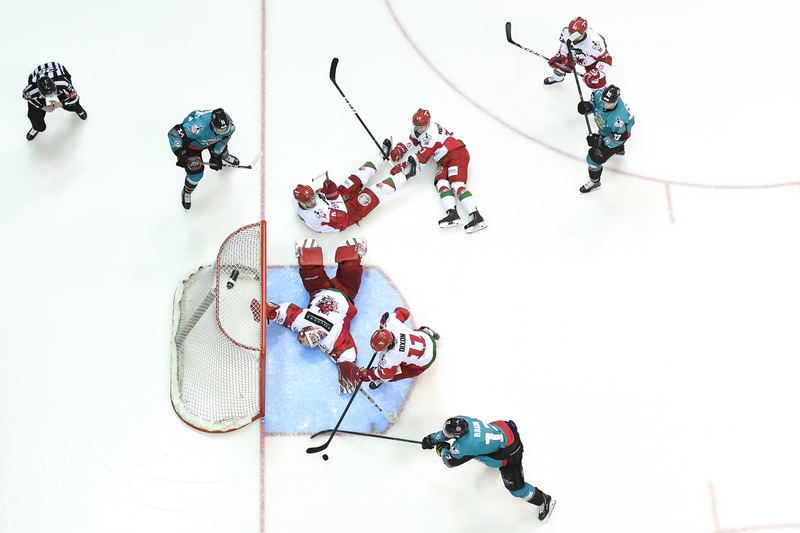 Reflecting on a night of heartbreak for the Belfast Giants, A View From The Bridge’s Patrick Smyth discusses how he feels today. I wanted to write this while the pain was still a little raw. It would be all too easy to let it all subside, reflect on the glories and shrug your shoulders at a disappointment in the final game of the season. Which, in time, no doubt will be the case. It’s less than 24 hours since that game and I still contemplate the feelings from before, during and after as a rollercoaster of emotion. The comeback victory over the Flames on the Saturday set me into a world of (over-) excitement which took a few twists and turns on Saturday night (“those that know, know”). But as the realities of Sunday took hold, around lunchtime, I came to realise that the Giants were entering into a battle against the Devils that could either result in history or heartache. Walking through Bunkers, an hour before the game, I’m met by fellow Giants fans and long-time friends of other teams. The conversation is the same: “what do you think?”. Though it’s hard before a game to cogently pre-analyse what you think will happen without it emotionally affecting what you WANT to happen. Confidence, however, was on the rise. The Giants are the EIHL Champions, the Challenge Cup Champions, Conference champions and had only conceded 3 goals in the playoffs so far. The comeback at the dying embers of the Semi-Final being the embodiment of this season’s Belfast Giants mantra to “Find a Way!”. Almost 20 years of following this team through thick and thin, and as the puck dropped for the final my nerves and emotions went into absolute overdrive. Screaming at the ice like my words had any effect. Encouraging great play, admonishing the poor play. Opinions flying across the seats between myself, Davy McGimpsey, Joel Neill, Simon Kitchen and Neil Russell as well as the others sitting with us. “We need to press higher”, “They are getting too much zone time”, “TOO MANY TURNOVERS”, “THAT’S IT LADS! !”, “SHOOT!”. None of these actually mean anything other than to give voice to your own assessment of what you are seeing first hand in front of you. And as I sit here reflecting, the game seems a bit of a blur. Yet the flashpoints remain. The opening shot, Bowns pads onto his own post.. seconds into the game! The Giants spent the first 10 minutes camped in the Devils zone testing and testing and testing the resolve of the Devils back lines. A test they passed but the Giants tails were up. The hit that took Darcy Murphy out of the game will divide opinion for a long time, sides will remain entrenched in their camps over the legitimacy of the hit. Much akin to Brad Voth’s hit on Stefan Sjogren in the 2006 Semi Final, which left the Steelers D-man with a fractured skull. You’d be hard pushed to find a Cardiff fan who didn’t think it was a clean hit, nor a Sheffield fan who thought the contrary. And so it was, Darcy Murphy, eventually, taken from the game. 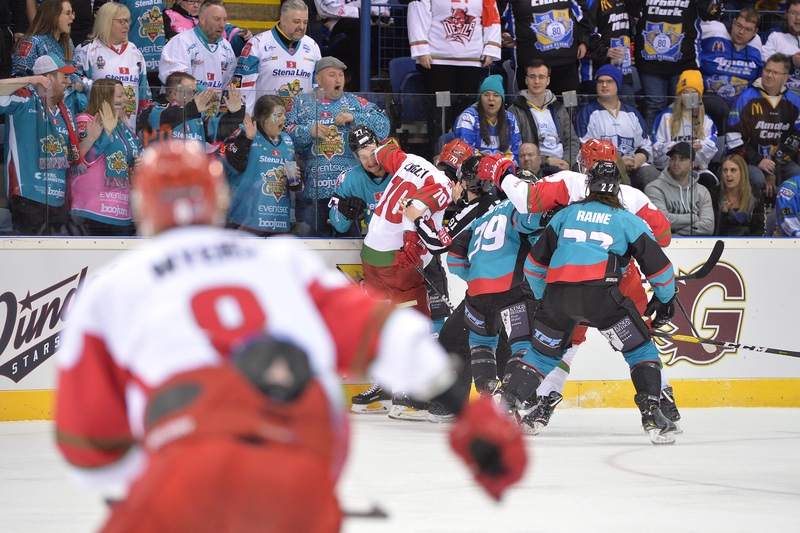 The Giants losing their top points scorer and the task made a little more difficult. My own emotions were peaking and it was only the first period. When Smotherman and Baun were sent to the box, leaving the Devils with a 5 on 3 advantage, I had to step back, the anxiety kicking in in a big way. I can’t tell you how we played, I spent 2 full minutes watching nothing but the clock as it ticked away, hoping not to hear a cheer from the far corner. Tick-tock-tick-tock, hearing gasps, shouts, claps, tick-tock-tick-tock and finally 3..2..1… Killed! Nulling those penalties was nigh-on feeling like we’d scored at that part of the game, we hadn’t, there was a hell of a lot to do. In fact, it was the Devils who hit the back of the net first, and it was a gut punch, as Hedden placing it between glove and pad to send the Devils fans into raptures of delight. This game wasn’t going to be the turkey shoot they’d enjoyed against Nottingham, so any advantage, any fine margin was going to be vital! I slumped in my chair. Ok, pick it up, let’s go again. As I approached the arena I held my phone tight in my hand, hoping it would buzz with news of an equaliser.. But it didn’t, we hadn’t, not yet. Still 1-0, approaching the final 10 minutes, Just like it had been the day before against Guildford. We were being wrung through the wringer AGAIN. Just like the Continental Cup final, just like the Challenge Cup final, just like that final day of watching the Blaze take their decisive win. This season has been fraught with nervous energy. And as Kevin Raine sent the puck on net from just inside the blueline, finally Bowns had been beaten. The puck bouncing over the line! My voice still hurts now from the screaming I did in delight. We did this to Guildford in the Semi-final… we can do it again! Fever pitch as the Giants pressed up and looked to get that next goal. Few had any doubt that that this game only had one more goal in it. The playoff winning goal. Two and a half minutes of game time was all we had to wait for it. Sadly. Fournier out alone on the right, slots it by the imperious Beskorowany and once again I was slumped in my seat, already thinking “That’s it”. As the final 7 minutes played out I went from hope to despair to hope and round again. 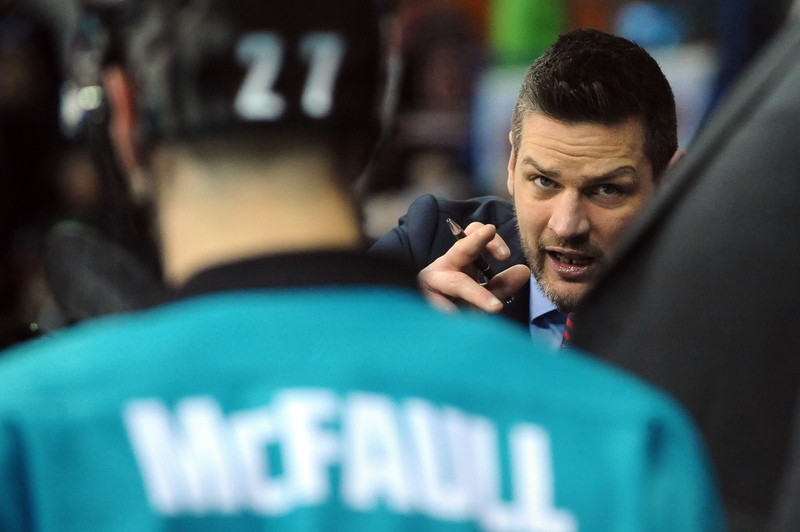 This magnificent Belfast Giants team, arguably one of the best, possibly in our history, certainly of the EIHL era, had to find a way one more time. But it wasn’t to be. In the final minutes I once again I stepped away from the game. As Keefe pulled Besko, I took my eyes to the clock and just watched it tick down. If we scored I’d be bundled over but the nerves wracked with potential disappointment meant I just couldn’t watch. So close to history. And yes, it hurts, right now, it stings. A battle between the league’s top two teams. Both head and shoulders ahead of the pack, all season long, came down to one last game. 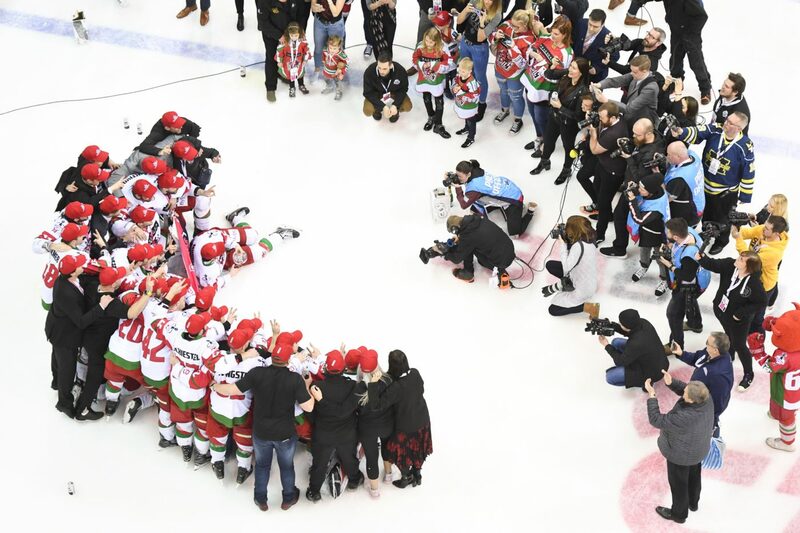 For the Giants it would have been the final cap on a outstandingly successful season which will still be long remembered, but for the Devils it was a final reward when they’d fallen frustratingly short in the quest for other silverware. Some last podcast and website duties remained, speaking to some of the guys and just wanting to undertake that final drive home to close the weekend. We’ve only won 2 playoff titles. I leave that arena disappointed at the end of the season far too many times. But that’s the game. And as I drove Joel and myself back to Manchester I thought about it a lot. The disappointment isn’t anything other than how close the slam really was. Success breeds a thirst for more. And now the season is done. That’s it. Cardiff had it themselves 2 years ago when Sheffield defeated them in, what felt like, a game that lasted a life time. What comes next is now what matters. The Giants are the EIHL Champions, Erhardt Conference Champions and Challenge Cup champions. Lifting 3 of the 5 trophies they competed for this season, and coming agonisingly close in the 2 they lost. As the pain of the defeat subsides, the pride in the season will undoubtedly win out. But it may take a day or two. We’ll see you next season!